Ryan Ketchum, VP of Sales and Marketing and co-owner of Fitness Revolution, helps frustrated fitness business owners create breakthroughs in their business with strategic planning and innovative marketing techniques. A fitness entrepreneur since 2006, Ryan has experienced the challenges of starting a fitness business, opening a studio and transforming into an entrepreneur. He shares the lessons he’s learned from those experiences to accelerate your growth. 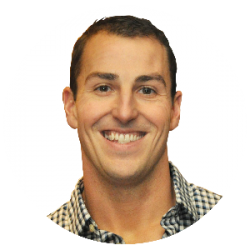 Ryan is a sought-after speaker and author for leading companies in the fitness industry.